If you want to experience real wildlife adventure then you must visit the Busch Wildlife Sanctuary on Jupiter Park Drive in Jupiter, Florida. This facility gives visitors a chance to know more about the wildlife and the natural environments of South Florida. There are a number of exhibits which give a lot of information about the animals being kept there but the main attraction are the tanks where the injured turtles are kept. The different exhibits include lizards, snakes, skunk, raccoons, cranes, turkeys, herons, box turtles, American crocodiles, otters and bald eagles. The Wildlife Sanctuary has a number of nature trails and visitors are encouraged to take a stroll and they will come across oak hammocks, cypress wetlands and pine flatwoods. There are wildlife habitats along the trails where you will come across animals like eagles, panthers, bears, snakes, crocodiles and lots more. There are no admission fees but donations from the visitors are always welcome. The park is open from Monday through Saturday. The gates open at 10:00 am and close at 4:30 pm in the afternoon. The park is a haven for kids as the people there organize a number of activities for the kids from time to time. If you are visiting the facility with children then make sure to inform them in advance and they might just arrange something fun and informative for the little ones. 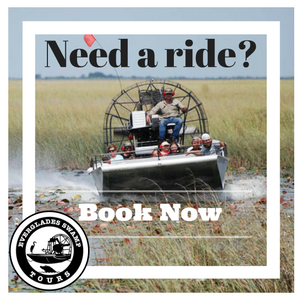 No wonder, the Busch Wildlife Sanctuary at Loxahatchee River District has earned a special place among the Florida attractions for the real wild experience that it promises to everyone. If you want to bring in a large group or organize a private tour or birthday party then do visit their website.